More on the AVF Oval Black Glass 42 inch TV Stand (Glossy Black) OVL850BB-A below. 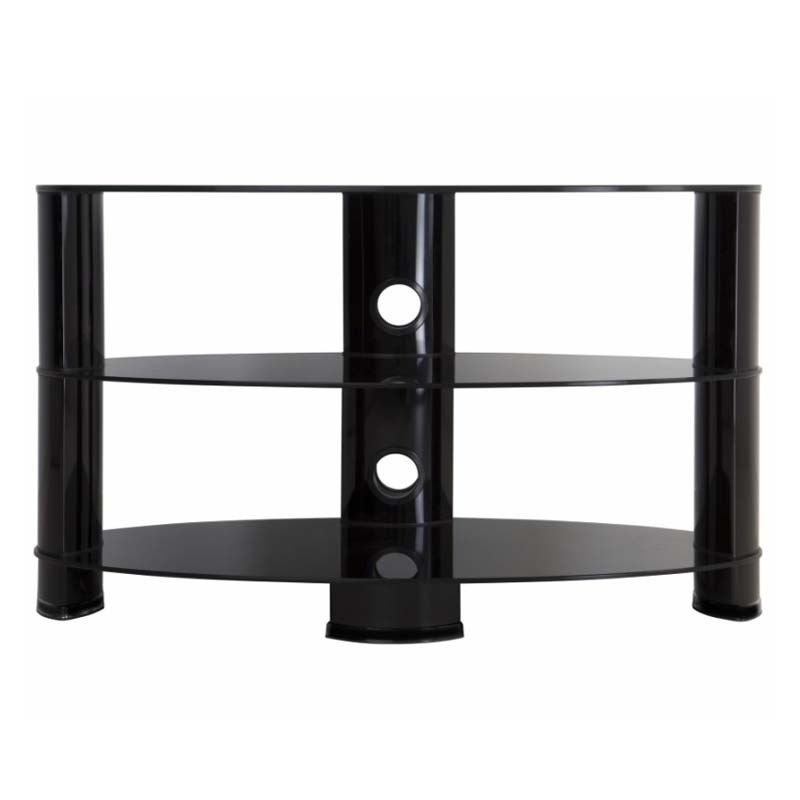 This beautiful glossy black oval shaped TV Stand is both attractive and versatile. Curvy and effortlessly stylish, this easy to assemble design blends with virtually any decor. The top shelf supports flat panel TVs up to 42 inches. The middle and bottom shelves are great for all your electronics and audio video equipment and media storage. The oval shape allows placement in two ways: flat against the wall or in a corner to maximize space and enhance viewing angles. The black tempered glass shelves and glossy black legs modernize any space. Installation is kept neat via the built-in cable management with entry and exit points along the length of the central column so all power and connectivity wires can easily reach the equipment in an organized, tidy fashion.